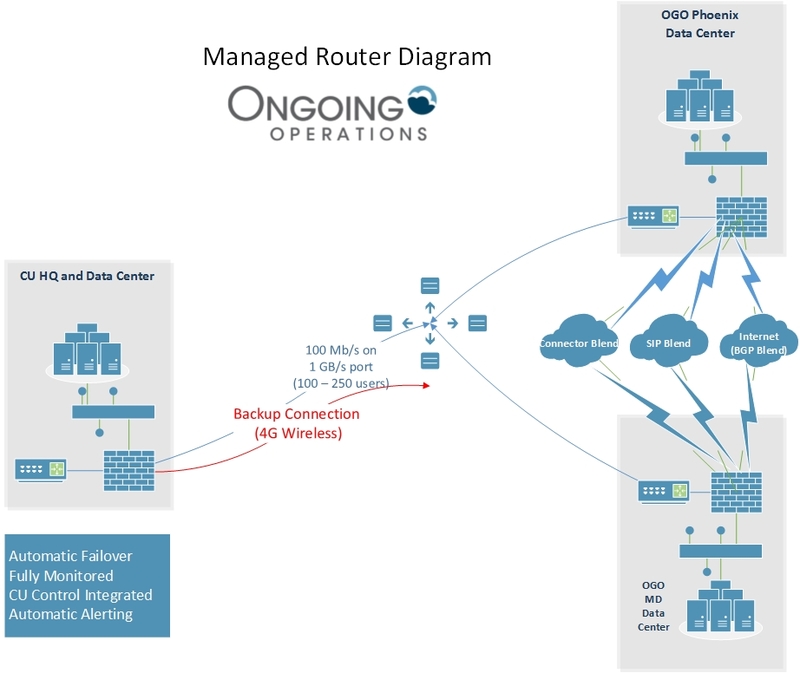 OGO provides multiple levels of managed routers. Managed routers are generally provided on client premise. Client premise based routers are provided using CISCO hardware and software and are remotely monitored, managed and configured. Why Do I Need It? If your branches connect to your HQ then you have routers than need to be managed. The routers will be monitored for capacity and performance, patched appropriately and you will have a number to call when something isn’t working. We can’t eliminate the telecom carriers but we can make them better. Why OGO? If OGO is providing your hosting infrastructure, our managed router will work seamlessly with everything else and provide one phone number to call at all times.